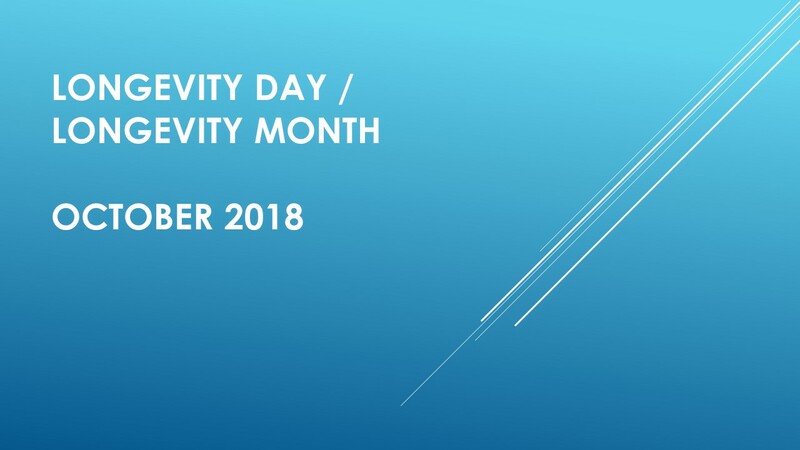 As every year since 2013, we are organizing the campaign: International Longevity Day (October 1) and/or International Longevity Month (October) in support of biomedical research of aging and longevity. In the past 5 years, hundreds of events, meetings, publications and promotions in dozens of countries were held as a part of this campaign. Awareness campaign – Healthy Longevity through research and development (throughout October). 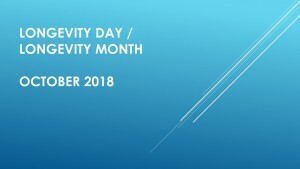 The conference on Vanguard Scientific Instruments in Management (VSIM) in Ravda, on September 11-16, including a section on longevity and future technologies, with a following promotion and declaration during the International Longevity Day – October 1. As a part of the Longevity Day/World Day of Older People Celebrations, The Rotary Club of Larnaca will hold an event on Tuesday 02/10/2018 at 8pm, at Sun Hall Hotel, Larnaca. A mini-seminar on aging research will be held in Kiev, on September 30, as a part of the Longevity Day celebrations. Here are some exemplary events, promotions and publications from the past 5 years of this campaign. If you organize an event, meeting, publication or any other kind of promotion – please share your plans, so this year too we can create a sizeable public awareness campaign in support of aging and longevity research, development and application.